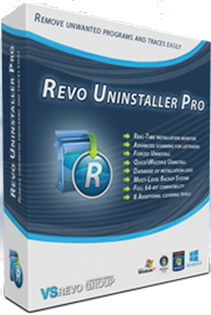 Revo Uninstaller Pro 3.1.4 - Remove unwanted programs easily with Revo Uninstaller Pro! 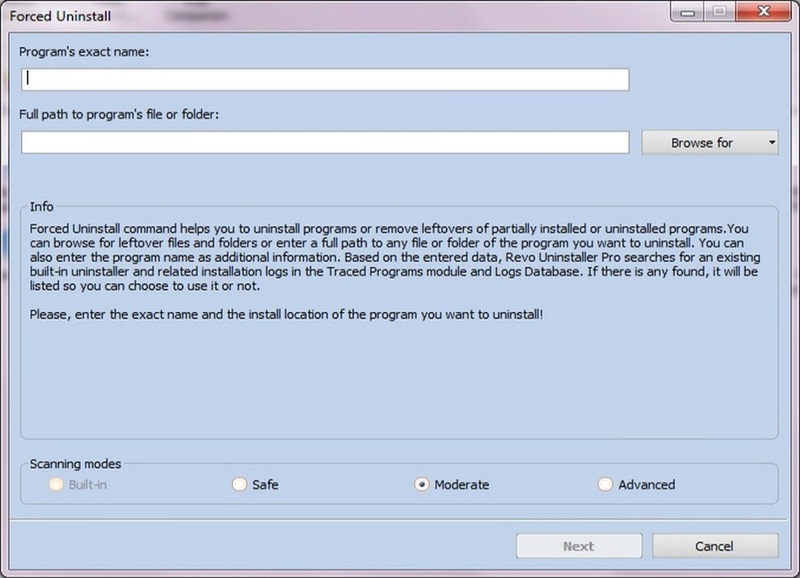 Remove unwanted programs easily with Revo Uninstaller Pro! Remove unwanted programs installed on your computer and uninstall software easily with Revo Uninstaller Pro! Even if you can not uninstall them from "Windows Programs and Features (Add or Remove Programs)" control panel applet, this software will help you. 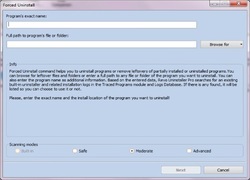 The Uninstaller tool lists the installed programs and components for all users. It provides information on program components, such as: program properties, their registry entries and links to manufacturer's web site. The "Search" option finds installed applications just by typing the first few letters of their name. Revo Uninstaller Pro searches for leftovers of Windows Services, Drivers, File associations, Shell Extensions, COM components, Windows Installer components, program settings and more! The winners will get the standard license of Revo Uninstaller Pro - 3.x. The license is valid forever and covers all minor updates. Future major releases (4.x, 5.x, etc) are not covered. The program is available for $39.25 , but the winners of our contest will get it for free. IObit Uninstaller is hundred time better then this Revo Uninstaller Pro 3.1.4 and the best thing is that its free. Where can I download the program? This wait is killing me. Really hope I am one of the lucky ones to get a license. I subscribe to GOTD so who knows? This wait is killing me. Really hope I am one of the lucky ones to get a license. I subscribe to GOTD so who knows? That was, scan for these items that other programs can not see. I have used so many uninstallers, but none is better than Revo uninstaller... great works and thanks to the developers of the software..
Revo Uninstaller Pro is a great uninstallation tool that lists all the installed programs and components for all the users on a PC. Thanks for win this great giveaway ! Hi ! Revo Uninstaller Pro is a great uninstallation tool that lists all the installed programs and components for all the users on a PC. Thanks for win this great giveaway ! Today folks is the final day for some lucky "entrants" to win a free license to this great app. Hopefully I will be one of the lucky ones. Good luck to all and may those who receive a license, enjoy it. Today folks is the final day for some lucky "entrants" to win a free license to this great app. Hopefully I will be one of the lucky ones. Good luck to all and may those who receive a license, enjoy it. Revo Uninstaller Pro is an awosome software to uninstall any program.It is really nice.Thanks. After the trial, I feel this is a very good software, hoping to get a license. Whilst waiting for this competition to end I tried IOBit uninstaller but was not very impressed ,leftovers in the registry. I will now give the free version of Revo a chance but from what I read thus far I get the impression that one can definitely depend on Revo to remove everything that is/was uninstalled. Whilst waiting for this competition to end I tried IOBit uninstaller but was not very impressed ,leftovers in the registry. I will now give the free version of Revo a chance but from what I read thus far I get the impression that one can definitely depend on Revo to remove everything that is/was uninstalled. Whew! Two more days of waiting in suspense. Will have to say a silent prayer so that I can get a license for this great app. Good luck to all who are lucky enough to get this license. Whew! Two more days of waiting in suspense. Will have to say a silent prayer so that I can get a license for this great app. Good luck to all who are lucky enough to get this license. Without a doubt the best. The rest of the program has not helped me and tested at least a couple. This is a great program, I use this program, a free version for many years. uninstall a specific application hunters. Try this will be very happy, I hope I will have a pro version 3.1.4. He wanted me to check it out, thanks for this opportunity. 1. I would welcome the incorporation RevoUninstallerPro Tracking feature installation update Microsoft Windows and the possibility of a subsequent update rollback in case of unsatisfactory functioning as often before she fell MS Windows is not aware of all the consequences that arise after the update. 2. As a special bonus and unassuming, I would do the program will complement, and are not going to start upgrade to Win 10, in which case the user aware of what all the data must be before upgrading to a new Windows 10 from the computer safely backed up. Already this warning alone is worth gold! Free program version I use about 6 years and it is very valuable for me. The version I tried and comments imply. that I do not like the program, just the opposite! 1. I would welcome the incorporation RevoUninstallerPro Tracking feature installation update Microsoft Windows and the possibility of a subsequent update rollback in case of unsatisfactory functioning as often before she fell MS Windows is not aware of all the consequences that arise after the update. 2. As a special bonus and unassuming, I would do the program will complement, and are not going to start upgrade to Win 10, in which case the user aware of what all the data must be before upgrading to a new Windows 10 from the computer safely backed up. Already this warning alone is worth gold! Free program version I use about 6 years and it is very valuable for me. The version I tried and comments imply. that I do not like the program, just the opposite! Been using Revo for years. Hopeful that one of these licenses that are being given away will have my name on it. This is a great app. Hopeful that one of these licenses that are being given away will have my name on it. This is a great app. As it is my birthday soon I hope that I may be one of the lucky ones to receive a license to this,what I believe to be a great piece of software. Been looking for this "giveaway" for a very long time. Hope I stand a chance for license key. Been looking for this "giveaway" for a very long time. Hope I stand a chance for license key. Revo Uninstaller Pro - The EXCELLENT program for me! Revo Uninstaller Pro for years is "best in class". After many years of usage. Imho still the best Uninstaller app. As always a notch above the opposition. Please keep up the good work. I have the free version; I think it's a GREAT program, & I usually use it to uninstall software. So, I'd like to try the "Pro" version, too. I have the free version; I think it's a GREAT program, & I usually use it to uninstall software. So, I'd like to try the "Pro" version, too. If your not one of the lucky winners, the free version works great as well. 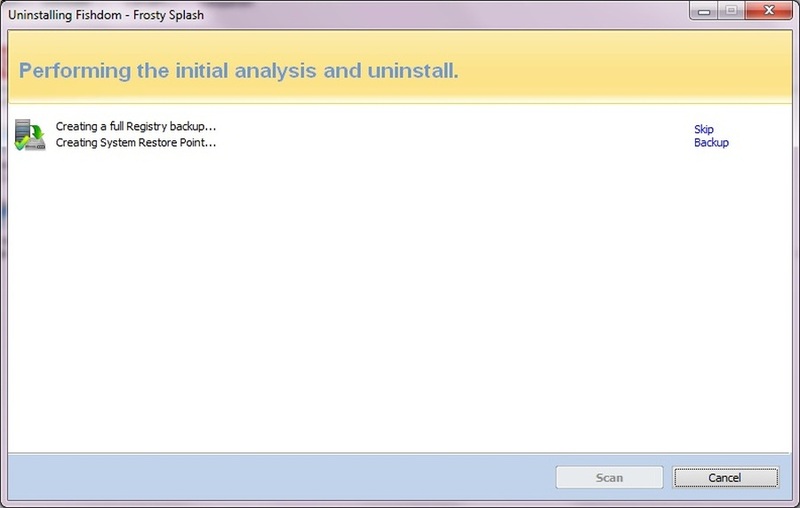 Very good uninstaller. I want to try it. This software does the job period. Awesome uninstaller. I have used for many years and nothing compares. I would also love to win a license. (For some reason, I didn't get notification of this giveaway yesterday. I got an email *today* with the giveaways for yesterday and today). So I missed the GAOTD opportunity. I do use the free version, and love it. I would also love to win a license. (For some reason, I didn't get notification of this giveaway yesterday. I got an email *today* with the giveaways for yesterday and today). So I missed the GAOTD opportunity. I do use the free version, and love it. 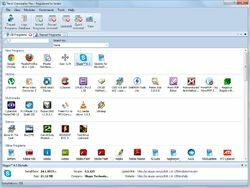 I believe Revo uninstaller Pro the best uninstaller tool so far in the uninstaller software available. I would be really thank myself if I got a KEY of Revo Uninstaller Pro. I am using the free version ,and I am always satisfied with it ,I wish to win a pro ! Yes, I need the Pro version to uninstall 64 bit apps. Thank you for the chance to win. I love Revo Uninstaller! Too bad I don't social media; so; I guess we just get the sign up for news letter and DL the trial of Pro entries. Good luck to all. excellent program to remove unwanted programs have always wanted this program to have but I managed to win it. I'm late for this excellent software for about several minutes. Would any kind and great testers (above peers) able to send me the GOTD? I would like to thank him a billion and billion times.